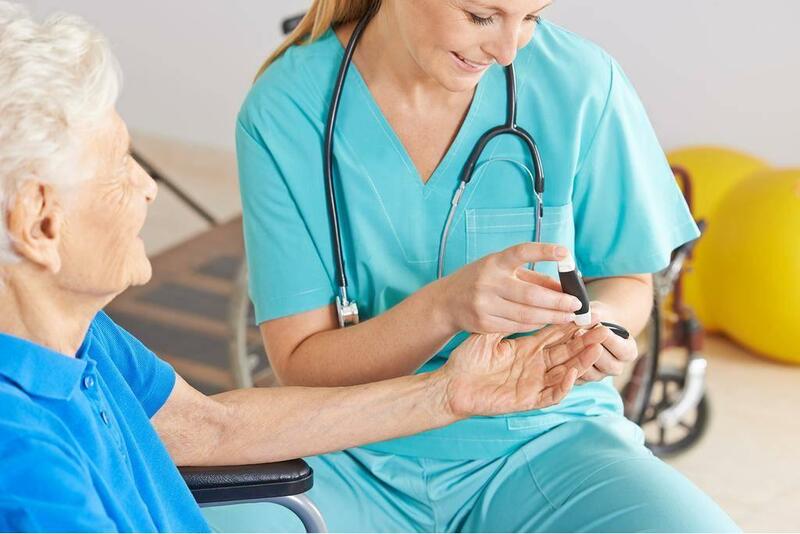 A certified nursing assistant (CNA) helps to meet the needs of patients by operating under the direction of a licensed nurse. The role requires flexibility, dependability, strong work ethic, compassion, and training to provide care in accordance with state and federal regulations. Although the career options and job titles are limited, compared to other healthcare professions, CNAs have the option to pursue other careers within healthcare with further education. Their scope of practice may include assisting with catheters, enemas, examinations, and suppositories, cleaning and sterilizing equipment, monitoring patients’ vital signs, reporting vital information to nurses, and administering medications – with the appropriate training. Admission to the nursing assistant program at Chula Vista Adult School requires a passing score of 560 or above on the TABE reading assessment, registration for the Health Care Essentials Course, completion of the online application, and attendance at the mandatory orientation. Students accepted into the program must complete a physical and TB test, obtain CPR for Healthcare Provider Care, complete a Livescan form, and purchase the course textbook and two sets of burgundy scrubs. At Eastlake Medical College, CNA classes are open for enrollment twice a month. Flexible weekend and weekday classes are available. Weekday classes meet from Monday to Friday from 7:00 am to 3:30 pm for 20 days. Weekend classes are Saturday and Sunday from 7:00 am to 3:30 pm for 10 weeks. There are 156 classroom and clinical hours included in the curriculum. Applicants must have two forms of valid government-issued ID, social security card, and the registration fee and down payment ($99 + $300) to register for the class. A physical exam and TB test are required for clinical placement. Livescan fingerprinting is included in the cost of tuition. The $1,299 tuition also includes state exam handbook, textbook, and two sets of uniform. A flexible, interest-free payment plan is available for all students. The nursing assistant program at Southwestern College is designed for students interested in a career in nursing. Graduates receive points for enrolling in the vocational nursing or associated degree in nursing program. Students learn the fundamental procedures involved in caring for patients, gathering data, and communicating effectively. The 8.5 unit course includes 5.5 units of lecture and 3 units of lab. The program is open for enrollment four times a year – January, March, June, and August. In January, March, and June, students meet three days a week for nine weeks. The August sessions meet two days a week for the entire fall semester. Applicants must submit a completed application packet before the deadline – the application period may close early due to overwhelming submissions. Enrollment is limited to 40 students per class. An informational workshop is available to help applicants navigate the application process. All applicants must complete the physical exam and immunization forms included in the application packet. Graduates are eligible to take the state certification exam administered on Southwester’s campus. The 176-hour CNA program at San Diego HeartSaver runs for 22 days. Classes meet Monday through Friday from 8:00 am to 3:30 pm for classroom theory and 8:00 am to 4:30 pm for clinical – hours are subject to change. The curriculum meets federal and state requirements, and graduates are eligible to apply for the state certification exam. The theory and lab cover 72 hours in the classroom and clinical lab. Course topics include observation and charting, body mechanics, patient rights, communication skills, safe environment, emergency procedures, nutrition, death and dying, vital signs, rehabilitation and restorative care, principles of asepsis, and long-term resident care. The clinical rotation comprises of 104 clinical hours of supervised patient care to develop clinical skills. Applicants must be 16 years of older with two valid forms of ID and social security card, pass a TB test and physical exam, and complete Livescan fingerprinting and CPR for Healthcare Providers. The nursing assistant program at San Diego Medical College is a 176-hour state-approved program. Students complete 72 hours of classroom instruction and 104 hours of clinical training and are eligible to take the state competency exam for certification as a nursing assistant. Applicants must be 16 years or older with two valid IDs and a social security card. TB clearance, a physical exam, and Livescan fingerprinting are other requirements for admission. Applicants must pay $185 to enroll. The balance of $975 may be paid in 3 payments. The course fee includes uniform, free tutoring, fingerprinting, and BLS (CPR) for the first 10 students. The American Red Cross offers nursing assistant training to prepare students for entry-level employment in health care. Experienced instructors teach students the skills required to feed, dress, bathe, and monitor patients in long-term care facilities. Students also receive job training skills and placement assistance. The 28-day program includes 100 hours of hands-on practice at a long-term care facility. Applicants must be 16 years or older. Tuition costs $1,500 and includes textbook, CPR certification, supplies, and the CNA certification exam fee.